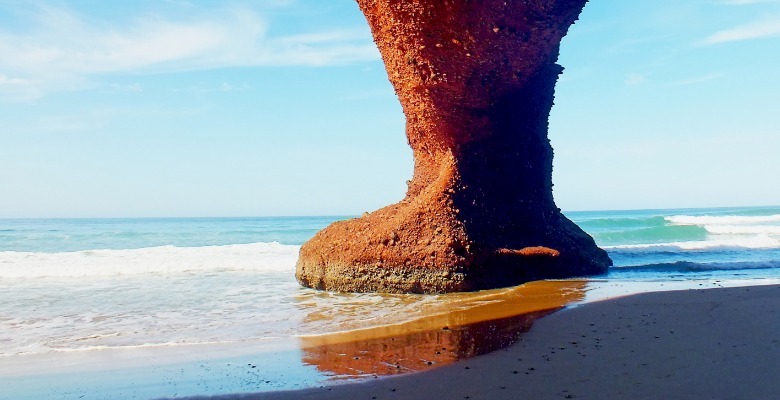 Over 8 days you will discover the Atlantic coast, Essaouira, seemingly interminable beaches, rock formations of varied hues, the manufacture of Argan oil, the bewitching Ameln valley, Taroudant souk with its heady odours and colours and the fascinating atmosphere of Marrakesh. After breakfast, departure for the coastal town of Essaouira where the day will be spent relaxing on the beach and swimming. After, visit to the fortifications of the old city with its Portuguese, French and Berber architecture where you can soak in the atmosphere of white and blue buildings, quiet squares, welcoming cafes, numerous craftsmen and delicious, freshly-caught fish. Dinner and night at hotel. Visit to Sidi Kaouki beach and Taghazout. In the evening we will take the Atlantic air on Agadir beach. Dinner and night at hotel. Breakfast then leave for Sidi Ifni via Tiznit village. 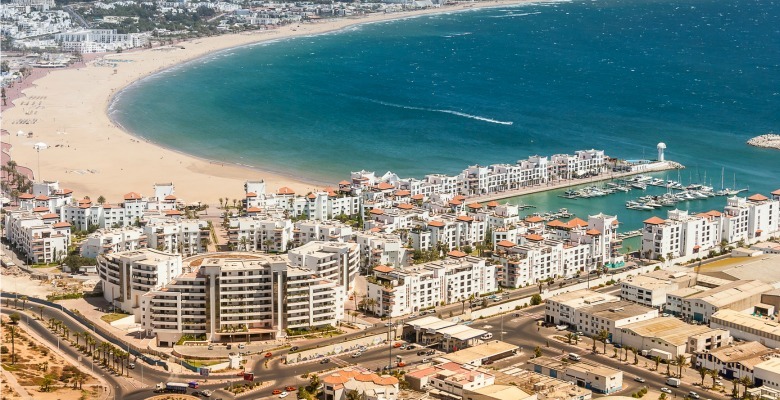 Visit the white beach and town of Sidi Ifni. Dinner and night at hotel. 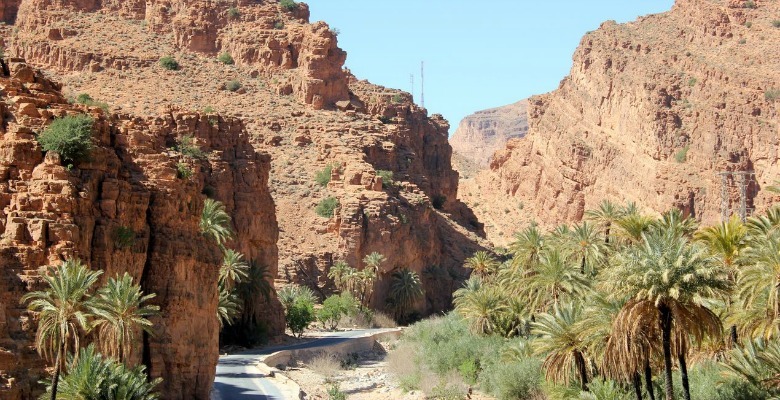 In the Anti-Atlas, visit to the town of G'limime and Tafraoute, an oasis village celebrated for its almond trees, Argan oil and babouches (traditional Moroccan slippers). Nestling in the gorgeous Ameln valley, the town of Ameln is perfect for wandering in. After breakfast, leave for Taroudant via Chtouka Ait Baha. In Taroudant, visit to the medina, the ramparts and the souk with its heady odours and colours. Dinner and night at hotel. Crossing the Test pass in the High Atlas mountains, we visit the typical Berber village of Tinml with its mosque and then on to Marrakesh, the ochre city. We visit the Menara gardens, the minaret of the famous Koutoubia mosque, the tombs of the Saadian kings and the Bahia palace. After lunch at the hotel, tour of the ramparts, Agdal gardens, the central Gueliz district, the medina, the souks and the famous Djemma el Fna square. Dinner and night at hotel. After breakfast, transfer to airport scheduled to flight times.